Joey O’Brien has given a very firm view on “what next” for the Irons despite making only one less than impressive performance this season – against Arsenal on Sunday. 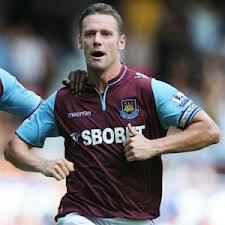 Wild rumours doing the rounds for years that Kevin Nolan has a special clause in his deal ensuring he makes the field of play if in the squad are 100 PER CENT FALSE! West Ham accounts released this week show a record turnover of close to £115m, an increase of nearly £25m and a record profit on paper of £10.3m after many years of losses. 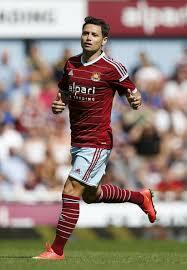 It was absolutely nailed on that the Mauro Zarate signing would end in tears – Mauro’s ways are not Sam’s ways! West Ham accounts released yesterday have confirmed the Hammers continue to rely on loans from the mysterious Vibrac Corporation. Harry Redknapp is hoping the planned deal for Mauro Zarate to join Queens Park Rangers goes through without any hitches. West Ham have been valued at £400m and Joint Chairman David Sullivan has suggested he would still welcome an investor to take 20% of the Hammers off his hands for around £80m. QPR are tonight reported to have sealed the Mauro Zarate deal which will see the Hammers striker remain at Loftus Road until the end of the season. Queens Park Rangers boss Harry Redknapp has tonight confirmed he is keen to take Mauro Zarate to Loftus Road on loan next month. Harry Redknapp’s interest in Mauro Zarate is now an open secret – a development which has the potential to prove Sam Allardyc e’s judgement of the player correct or leave him with a red face.